Now more than ever it’s important to provide your support to persons with disabilities. Consider a one time or recurring tax deductible donation. 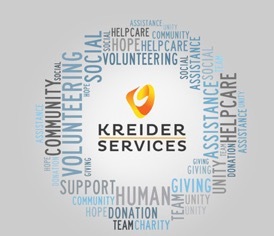 Charitable contributions to Kreider Services are welcome throughout the year and tax-deductible to the fullest extent allowed by law. Currently, the 2018 Annual Holiday Appeal is underway. Click on either the one-time or recurring donation buttons to make your donation to the Appeal. You can also donate “needed items” as part of the appeal. To make an immediate impact on those served by Kreider Services, use PayPal to make an on- line donation. Click on the PayPal icon. Once you are on the donation page you will be asked for specifics for the gift that you would like to make. You can even make arrangements for a recurring donation if that is your wish. Thank you for supporting the mission critical work for Kreider Services in assisting persons with intellectual and developmental disabilities. Kreider Services is committed to respecting the privacy of its donors. All information concerning donors or prospective donors— including their names, addresses and telephone numbers, the names of their beneficiaries, the amount of their gifts— shall be kept strictly confidential by Kreider Services, its staff and volunteers, unless permission is obtained from donors to release such information. Click for a copy of our Donor Bill of Rights.